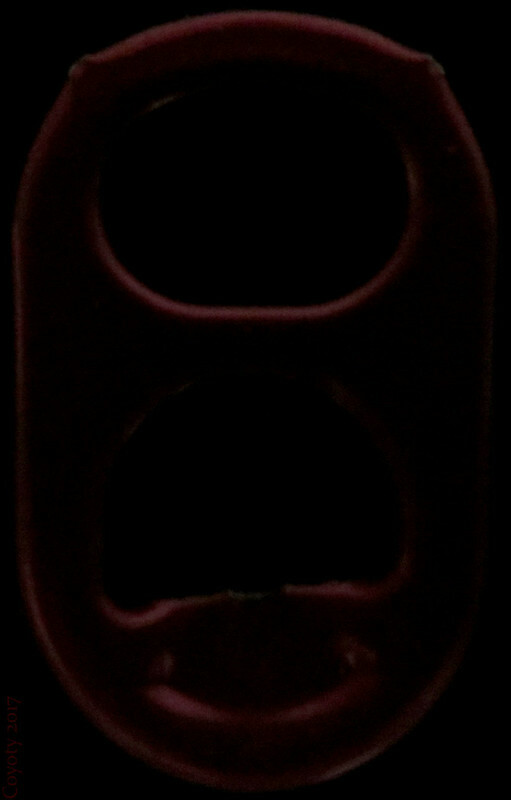 A despicable red pull-tab from a can of Cheerwine cherry soda. This was one of the most difficult things I've tried to photograph. The camera just didn't want to focus on it in any light or background. I put it against a black background to make it look darker and redder and despicabler. Photographed for this week's Macro Mondays challenge, "Pareidolia" (seeing faces and other familiar shapes in unrelated things).